(Lola Devlin) A new attraction, Tom Devlin’s Dinosaur Adventure, is scheduled to open Saturday at 1603 Boulder City Parkway, the site of the old Alpaca store. It includes several full-size dinosaurs, a fossil dig and indoor playground. (Michael Cordero) Chef Michael Cordero is the new chef and managing partner at Anthony's Trattoria at 1312 Boulder City Parkway. He is bringing Italian comfort food to the restaurant's revamped menu. 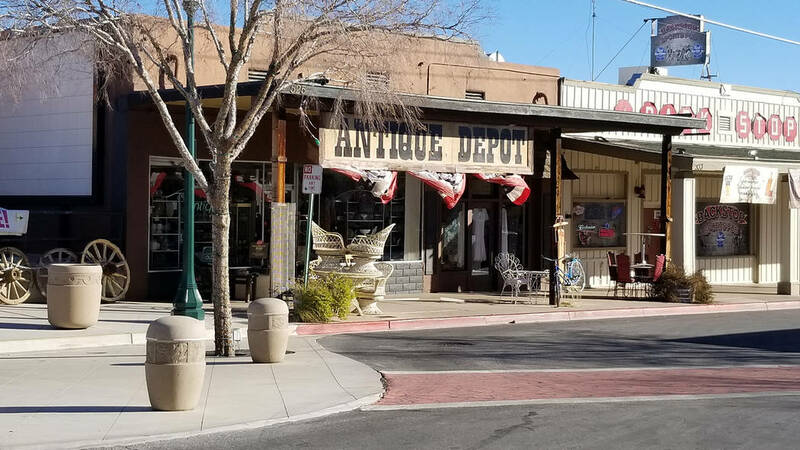 (Celia Shortt Goodyear/Boulder City Review) Antique Depot, 525 Ave. B, is closing because owner Kathi Jacobs is retiring. (Roger Hall) Roger Hall, left, director of parks and recreation for Boulder City, accepts a donation from Robert Martello, center, of Boulder City Disposal, Boulder Disposal and Waste Logistic NV and Cory Delperdang of Boulder City Disposal for the department's youth scholarship program. (Hali Bernstein Saylor/Boulder City Review) Jim Hawkins of Boulder City was prompted by nostalgic feelings about baseball and pizza to open a new restaurant, Water Street Pizzeria, in downtown Henderson. 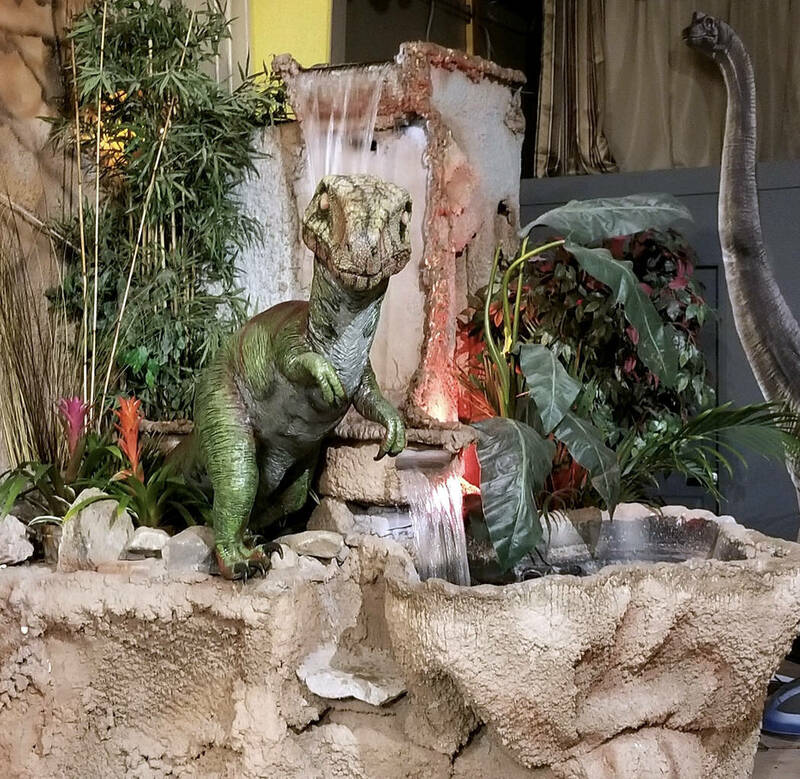 A new attraction, Tom Devlin’s Dinosaur Adventure, is scheduled to open Saturday at 1603 Boulder City Parkway, the site of the old Alpaca store. Devlin, owner of Tom Devlin’s Monster Museum, said the family fun center will be a micro-theme park and include two full-size rideable dinosaurs, a fossil dig and an indoor playground. The dinosaur adventure will be open daily from 10 a.m. to 5 p.m. Admission will be $10 for those 2 and older. To stay updated on the attraction, visit www.tomdevlinsdinosauradventure.com. Longtime Boulder City business Antique Depot, 525 Avenue B, is closing, according to owner Kathi Jacobs. Jacobs said she is retiring and the building is in the process of being sold. She and her husband, Jake, opened the antique store 15 years ago. To help with the closing, the majority of its items are priced 20 to 70 percent off. The discount is ongoing and will continue until the building sale goes through. Jacobs said the partial government shutdown has delayed the buyer’s funding. At the hands of its new chef and managing partner, Michael Cordero, Anthony’s Trattoria on Boulder City Parkway is undergoing a transformation that will put Italian comfort food front and center. The new menu will feature several Italian staples such as lasagna, chicken piccata and chicken Marsala, along with dishes selected each week based on what fresh ingredients are available. Each dish will also feature a recommended wine. Cordero, who graduated from the New England Culinary Institute and worked as a corporate chef, said he communicates best through food. “It’s the most amazing conversation,” he said. You eat through your eyes first and then your mouth. He wants to treat as many senses as he can. Cordero said everything on the menu will be handmade and include that extra bit of love that makes dishes taste all the better. It will be like eating at your grandmother’s house with your large extended family. That’s because Cordero was inspired to become a chef by his grandmother. He also credits his love of food and cooking to an aunt who owned a restaurant in Santa Barbara, California, where he grew up. By the time he was 13 years old, Cordero was working in the restaurant helping to make sauces. Large family gatherings, all centered on food, were a major part of his childhood. 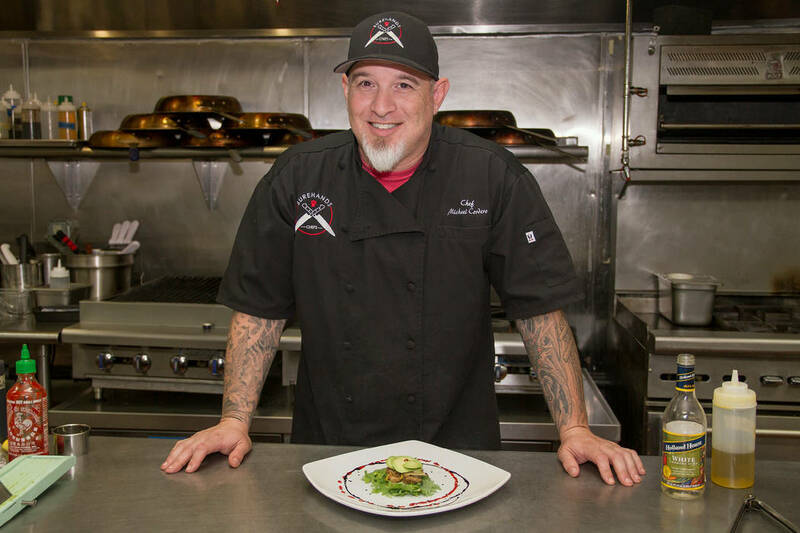 In addition to working at the restaurant, Cordero will continue to operate his SureHands Chef business, which provides healthy and fresh meal planning and personal chef services. A soft opening of the restaurant is planned for today, Jan. 24. For now, the restaurant will be open from 5 to 9 p.m. Monday through Friday and from 5 to 10 p.m. Saturday. It will be closed on Sundays to allow Cordero and his staff to spend time with their families. “Family is everything to me,” said the father of three daughters. He said he hopes his connection to his family translates into making the restaurant a place for families to visit and feel at home. Anthony’s Trattoria is at 1312 Boulder City Parkway. Several local businesses have donated funds to the Boulder City parks and recreation department for its youth scholarship program, which allows area children with financial hardships to participate in classes and sports. 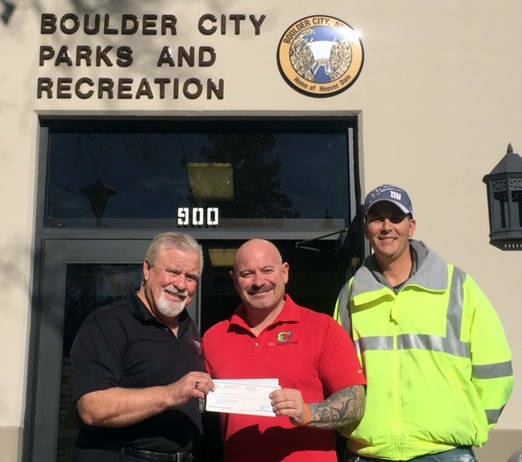 Roger Hall, director of the parks department, said he has received $3,600 in donations, including a recent gift from Robert Martello of Boulder City Disposal, Boulder Disposal and Waste Logistics NV. 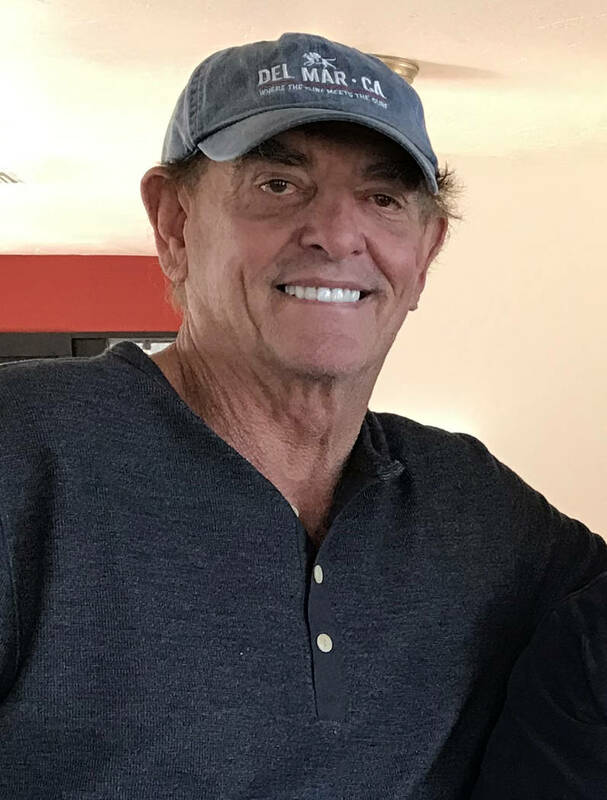 Others who have made donations include Boulder Dam Credit Union, Boulder Pistol and Rifle Club, Carol Campbell, Warren Wood, Auto Specialists, Bruce Woodbury, Wendell Whitman, Boulder City Hospital and the committee to elect Joe Hardy. To learn more about the program or make a donation, call the parks and recreation department at 702-293-9256. Boulder City resident Jim Hawkins has transformed his childhood memories into a new restaurant, Water Street Pizzeria in downtown Henderson. “Like everyone else, I grew up loving pizza,” he said, recalling that his baseball team would go get a pizza after games. That combination didn’t change as players aged; they just added beer to the mix. Hawkins said that was a concept he could get behind and seemed to be the ideal way to break into the restaurant business. He also has air conditioning and heating, remodeling and concrete companies. He said he chose the location, 139 Water St., because of the revival of the downtown area. The remodeled eatery has indoor and outdoor seating, and Hawkins said he plans to offer music three nights a week when the weather is warmer. In addition to pizza, the restaurant’s menu includes pasta, sandwiches, wings and appetizers. He said the three-meatball plate with garlic bread is a signature dish. Hawkins said he wants everyone who walks through the doors to feel like family. The restaurant is open from 11 a.m. to 8 p.m. daily. Call 702-463-1511 for more information.